Beaches become the main feature in Banten Province. One of them is called Legon Pari Sawarna Beach. It is located in Lebak Regency, actually. The sound of the waves and the beauty of nature attract more visitors over time. All the tourists are looking for a happy and memorable vacation there. 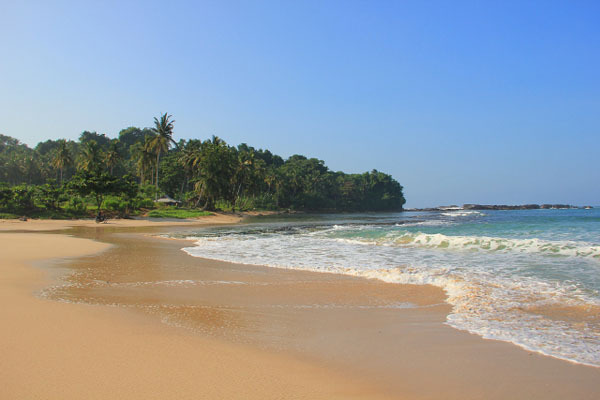 The beach is also situated near to Sawarna Village. That means you can enjoy two different vacation destinations at once. It only takes about 45 minutes from the village, after all. Many people wonder what type of beach Legon Pari is. A unique part of the beach is the location. It lies behind a hill. Thus, you can witness such shady and serene hill from afar. Apart from the hill, there are other features like farms, a suspension bridge, and much more. When it comes to the water, it is quite strong. It seems the water is not quite safe for swimming. However, the beach features ultra-soft and beautiful sand. Thus, beach walking becomes a good idea there. The most beautiful part of the beach is the sand. It appears either brown or white. When it comes to the texture, it is quite soft. You can even walk on it without footwear. Due to this reason, the most interesting activity in Legon Pari is beach walking. The soft sand and gusty wind create a comfortable combination. Not to mention the sound of the waves become another feature to enjoy. If you want to get in the water, make sure to come in the right time. For example, the waves are safer and smaller between June and August. Apart from beach walking, there are numerous types of activity to enjoy. For example, tourists are able to learn the history of the beach. Legon Pari derived from “Ngelangon” and “Pari”. It simply means a “gulf” of “Manta Rays”. That means you may expect many mantas in the water. Regardless of the beauty and a serene nuance, not many people know about Legon Pari Beach. It is because the location is a little bit secluded. Not to mention it takes much effort to reach it. Due to its isolated location, visitors need to pass through a challenging terrain. That means you should come with a good stamina and preparation. Make sure to wear proper footwear and clothes. As for the tips, it is better to carry bottled water. During the trip to Legon Pari Beach, you may expect many types of plants, especially coconut trees. They create a comfortable nuance, so your journey becomes less troublesome. Overall, it is a worthy trip and you won’t regret it. In order to reach Legon Pari Sawarna Beach, you should come first to Lebak Regency. From Jakarta, the whole trip takes up to 6 hours and the distance is approximately 182 km. Once you reach Lebak, your next destination is Sawarna Village. From there, you should walk and head to the beach. In fact, it requires a little bit trekking.